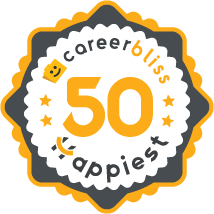 On average, employees at Cisco Systems give their company a 4.0 rating out of 5.0 - which is 5% higher than the average rating for all companies on CareerBliss. The happiest Cisco Systems employees are Major Account Managers submitting an average rating of 4.8 and Test Engineers also with a rating of 4.8. "I worked for Cisco Systems as a Software Development Engineering Intern with the NOSTG team at Boxborough , MA. I found the company culture to be excellent and I also had the opportunity to learn a lot during the twelve weeks of my internship. I also had the excellent opportunity of getting to meet some of the stalwarts in the Networks industry and also got to interact with them on a one-on-one basis. Overall , the experience was better than I could have ever hoped for." "I worked for Cisco 4 years in Engineering Central Services before being impacted by a workforce reduction. I came back as a contractor in the same capacity. I enjoy the people, work, and challenges at Cisco. As we transition in our product offerings, the company continues to have layoffs a few times a year. That impacts morale in a negative way. The company is using more contractors while the permanent workforce reduces. I will continue working here as the ability to work remotely from home is very appealing." "Have been here at Cisco for 8 years and get great reviews from my boss but ZERO raises (except for a promotion). Work-life balance stinks, Cisco forges bad reviews of older employees to get rid of them and there are regular layoffs despite great performance by the company. (A Cisco co-worker described the layoffs as a General executing many of his own soldiers after they've defeated a hated enemy)." "It's been a good experience, just not much opportunity to advance." "In my work with Cisco Systems Inc I had considerable success in the delivery of collaborative technology systems and product lines at Cisco Systems for corporate communications systems and for Internet based call centers. I also was one of the team leaders at Cisco to develop and implement a complete change over in their ERP, CRM and oderability and fulfillment systems." "It is a strong company but having very slow growth career-wise. Very few or no funds for learning and development." "I've worked at Cisco Systems for 17 years. I have found company to be one of the best companies in the Bay Area." "Good company to learn any Cisco related tech. Free training and CCIE attempts. Good bonus. Free food. Difficult to move between technology." "Good place to work, and company takes care of people well." "Great company with benefits. Large and slow moving, as it is an older technology company." "I've worked for Cisco for 3 years as a Program Manager and have enjoyed and been successful at my work." "Cisco is a very good company to work for." "My working team was very good." "Good place to work. I would recommend this place to work."